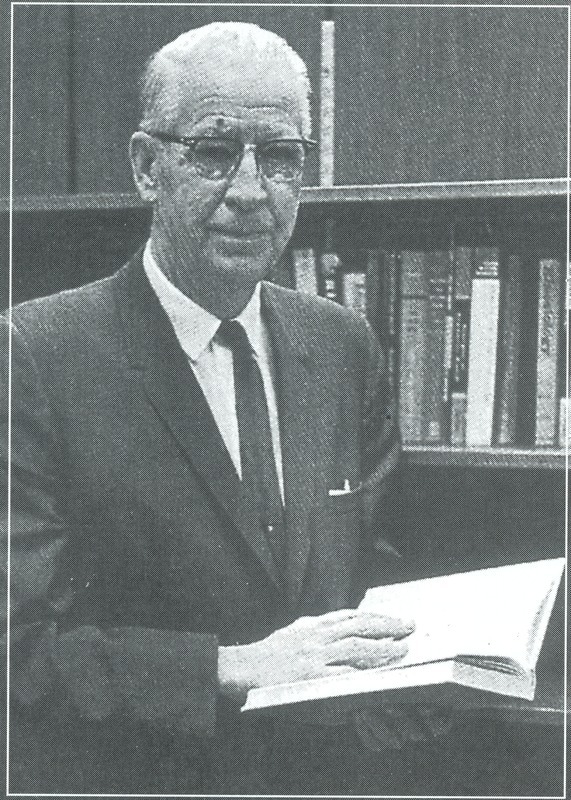 A native of Platteville, Wisconsin, Harry Wienbergen attended high school there, and then Platteville Teachers College. He was an active participant in football, basketball, and track while attending high school and college. He graduated from the University of Wisconsin with a Bachelor of Science degree in health and physical education in 1927. In 1936, received his Master of Science degree from the same school. He began his coaching career in 1921 at Mount Horab High School in Wisconsin. Only 20 years old at the time, he coached all sports. Mr. Wienbergen joined the staff of Dickinson Normal in 1927 and remained until 1966. When he came, the college was not affiliated with any conference. At the conclusion of the first football season he coached, The Slope Teacher commented: “He is liked very much by the student body as a whole, and by the team a little more.” Harry coached every sport at the college except wrestling, frequently without an assistant. He also served as athletic director, and taught physical education. During his tenure he was president of the North Dakota Physical Education Association, and was chosen president of the North Dakota College Coaches three times. He was named "Boss of the Year" by the Dickinson Chamber of Commerce in 1960, and in 1962 he was honored for out standing civic and community service for the states of North and South Dakota by the Fraternal Order of the Eagles. In 1963, Hamy received a certificate of merit from the North Dakota Coaches Association for more than twenty-five years of outstanding service in the field of coaching. His ever-present interest in education spurred him to help in actively pursuing the concept of a four year college at Dickinson. The stories of Harry and his cigar are legion, and it was most common to see him with the end of the cigar stuck at a jaunty angle in his mouth as he talked around it. He himself told the story of receiving a letter asking for a $5 donation to Governor Danger's campaign chest and facing Danger with the letter, saying "What's this all about?" to which Danger's reaction was to put an arm around Harry and respond "I told that S.O.B. not to send you one." The thousands of miles that Harry traveled with his teams over the years of his coaching career were frequently noted by others as having been speeded up because of "the cement on the shoe that was on the gas pedal." Team members who rode with Harry also remember some of their concerns as he drove down the road, exceeding the speed limit, while looking back at them as they tried to remain calm in the back seat. During World War II, Harry became supervisor of Civil Aeronautics Administration War Training Service in Lansing, Michigan and Milwaukee, Wisconsin. He supervised the training of navy flight V-5 cadets in colleges in Michigan, Illinois, and Wisconsin from 1942-1944. Harry estimated that he worked with more than 2,000 athletes in his years of coaching. In 1962, he said "Every man that won a major letter was great.... Athletes have been good to me. The association with all the boys, the parents, and great coaches has been a great inspiration. '"*® Eve Wienbergen, Harry's wife, was also a faculty member of the college. She taught in the English Department, and was assistant librarian and acting Dean of Women for a time, as well as teaching in area high schools. Harry was a person with high ideals and had the personal qualities which enabled him to serve as a model and one who could inculcate the concept of true sportsmanship in his students. He died on March 6, 1974, after retiring in 1966. No teacher ever served "The College on The Hill" more loyally or with greater dedication than did Harry. Wienbergen Hall Complex, built next to Scott Gymnasium, appropriately memorializes the service that Harry gave to the school. ,” Dickinson State University Archive, accessed April 23, 2019, http://dsuarchive.com/items/show/39.